It's been just over 30 years since IBM released its first PC and shook the whole world up. Hoping to do some more world-shaking, they've built two chips that function more similarly to our brains than normal chips do. Yes people, this could be the day we all look back upon with sheer horror, as The Robots chase us from our houses and onto the streets. 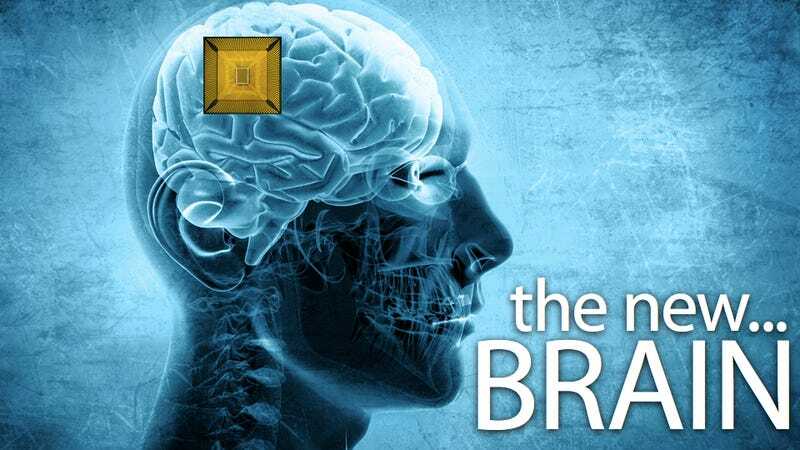 Funded in part by DARPA, which contributed $41 million to the "cognitive computing" project, the prototype chips use parallel processing to multi-task, but more importantly adapt to new information even if they're not expecting it. The projector leader at IBM Research, Dharmendra Modha, claims that "you have to throw out virtually everything we know about how these chips are designed," elaborating that "the key, key, key difference really is the memory and the processor are very closely brought together. There's a massive, massive amount of parallelism." They also have sensors for identifying changes in the real world, such as temperature rises, audio and motion movements, which could make them well-suited to outdoors use, in cars, traffic lights or planes for example. While it's likely we won't see these two prototype chips put into practise for another 10 years, IBM is confident it's the future for their business. Both chips have 256 neurons, with one of them containing 262,144 "programmable synapses," and the other 65,536 "learning synapses," which will be built upon and hopefully get to the point where it's possible to have a chip with 10 billion neurons, and 100 trillion synapses.